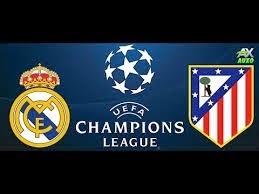 The Madrid derby game as both Real Madrid and Atletico Madrid meet each other for the 8th time this season, the whole world would be watching this Champions League Quarter Finals 2nd leg and expecting not another 0-0 result just like last week. I expect a tight game still though between the two fierce rival in Madrid tonight! Atletico Madrid seems to get an upper hand over Real Madrid in recent years, in terms of defense as well as attack, the mastermind of Diego Simeone's tactics had worked pretty well. Real Madrid had not managed to beat Atletico Madrid in their last 9 games, an away goal conceded tonight would be a disaster for the host, the pressure is mounting on Real Madrid but not Atletico Madrid as the visitor will hunt for an away goal to create a comfort factor! Home Win odds in Europe had been drifting higher, but yet, in Asia, the home win odds seem to not changed, for this reason, I am backing a home win include extra time here for a safer approach, in case this game yet to end up a 0-0, despite Atletico Madrid had not been beaten at Real Madrid's home ground in their last 4 games and Gareth Bale, Modric and Benzema is doubtful on this game, Atletico may hold on till full time but to lose in ET or Penalty Shoot-out!